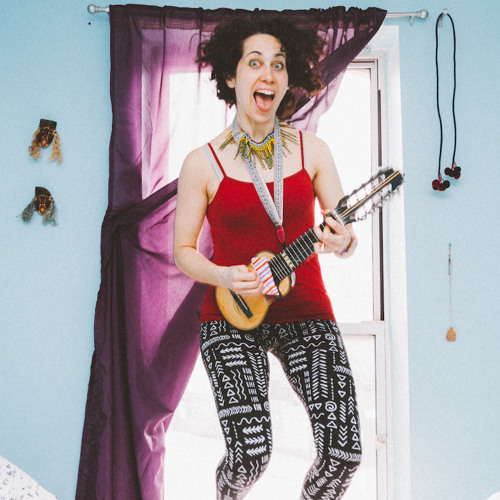 *** HONEYBIRD BIO**** Monique "Honeybird" Mizrahi : Multi-instrumentalist (charango, bass, vocals), singer-songwriter, and LGBT activist. Born and raised in Los Angeles she found her musical calling in Italy, which remains a second home. After graduating Berklee College of Music she worked in recording studios with Primus, Rage Against the Machine and Elliott Smith and countless others. As Honeybird she crossed the world, bringing her music around Europe, Latin America, Canada and the US. With honeybird & the birdies, she performed at Primavera Sound (Spain), Eurosonic (Holland),and Cherchez La Femme (France). In 2015 she recorded a solo album Out Comes Woman chronicling her coming out experience, produced by Marc Urselli (John Zorn, Laurie Anderson, Mike Patton), including concerts in the USA. 2016 saw two tours and an EP release (WM) with Honeybird & The Monas. In NYC she was called upon to present Bi at the Brooklyn Museum for Women's History Month; and received an invite to perform at Obama's White House for the Bisexual Community Briefing. She spent much of 2016 touring Europe with Italian rock band Tre Allegri Ragazzi Morti, playing charango, guitar and vocals in a summer and winter tour. In May 2016 she released WM EP with Honeybird & the Monas. In 2017 she was a visiting artist at Berklee Valencia. Her mission is to listen to intersectional LGBT community voices and transform the daily struggle into song. Beyond all discrimination. Blow away your phobia and keep putting the "B" in LGBT.